Nestled in the middle of downtown Jasper in the heart of the Rocky Mountains, the cuddly six foot Candy Bear welcomes visitors with open arms. 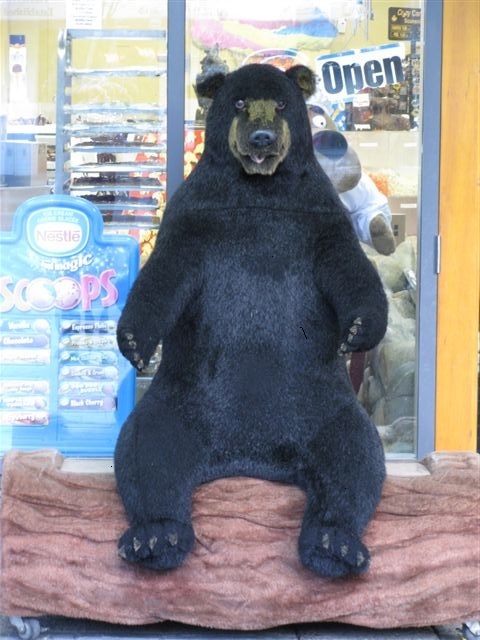 Enter his shop and you’ll be transported to a magical world of bears and expertly crafted handmade candies. Mouth-watering homemade fudge, caramels and candy apples are just the tip of the iceberg. There are literally dozens of treats to choose from, from the classics to specialty items found only here. And if you like bears, we’ve got it all: teddy bears, bear rugs, bear puzzles, bear pillows. Whether you are a candy lover or a bear lover or both, this is the perfect shop for you! Review us on Google so other visitors can share your experience!